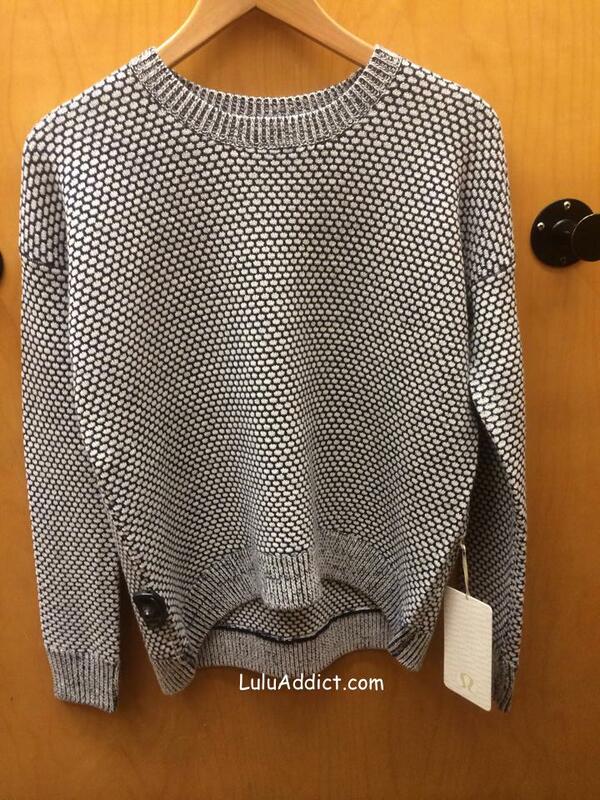 The sweater from the banner photo on the lululemon website is now in the stores. It's (Readers point out the banner sweater seaming is different - thanks!) 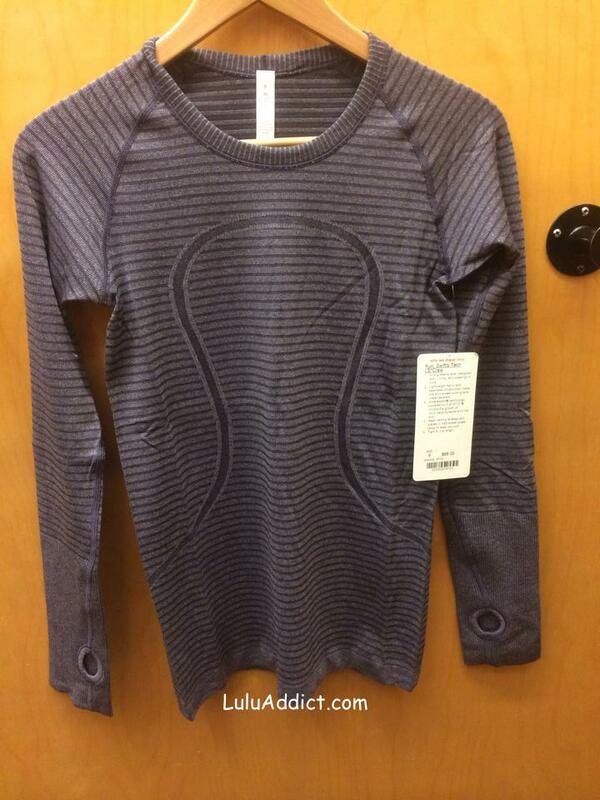 A new sweater called the Yogi Crew sweater is out in Canadian stores. 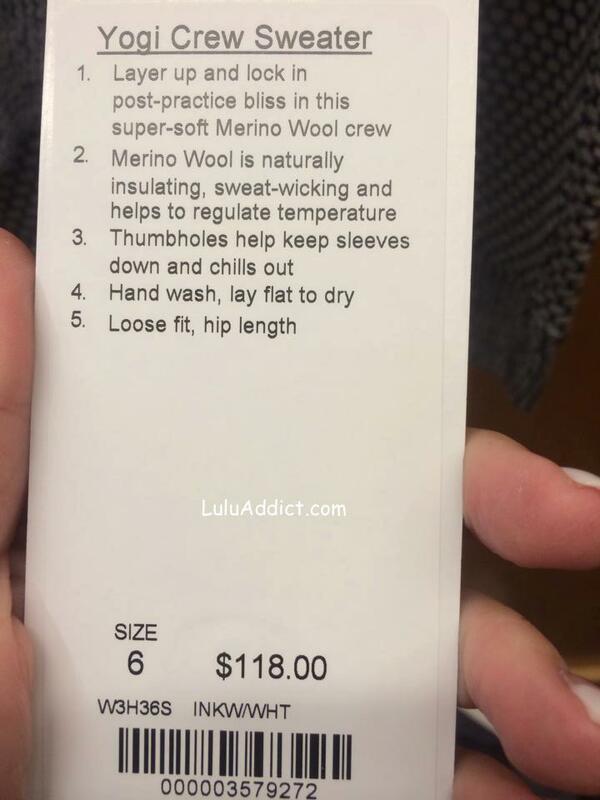 It's made of merino wool and is $118. I really like the looks of this sweater but I fear it will be too short. Also, I tend to find all merino wools itchy, no matter how fine they are. Thanks to Ms. K. for this photo. 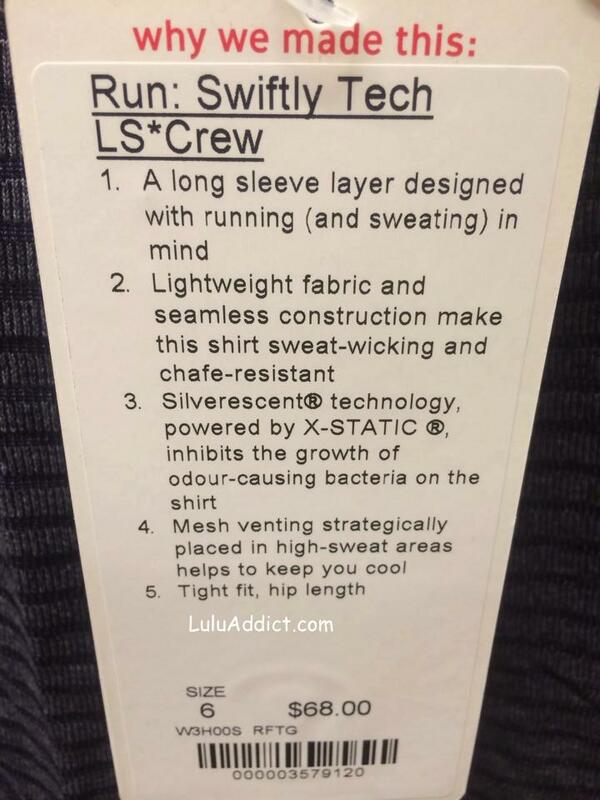 This is from a Vancouver area lululemon store. Ms. K. also managed to get a photo of the new striped Swiftly. I can't tell whether this is a Nightfall or Black Grape color from the code on the tag. Whichever it is, it looks more purple than the Space Dye Going Grape on the website so I might need this Swiftly, too. I am not sure that is the same sweater as the banner. It looks like it's missing the seams down the front.